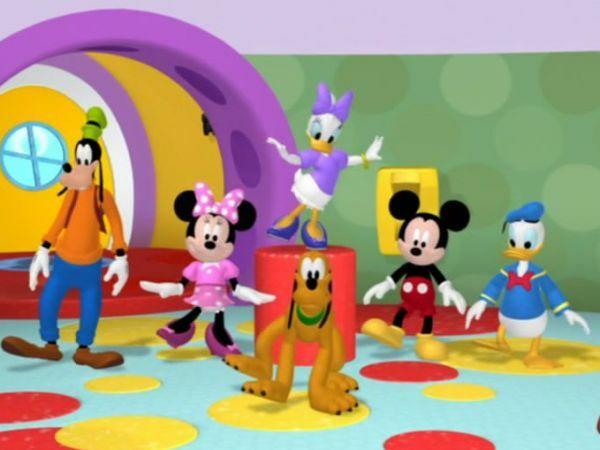 MICKEY MOUSE: Ooh, a glue stick, tap-dancing shoes and the mystery Mouseketool. That's a surprise tool that can help us later. Look, it's Toodles. Hiya, Toodles. Oh, gosh. Hey there. 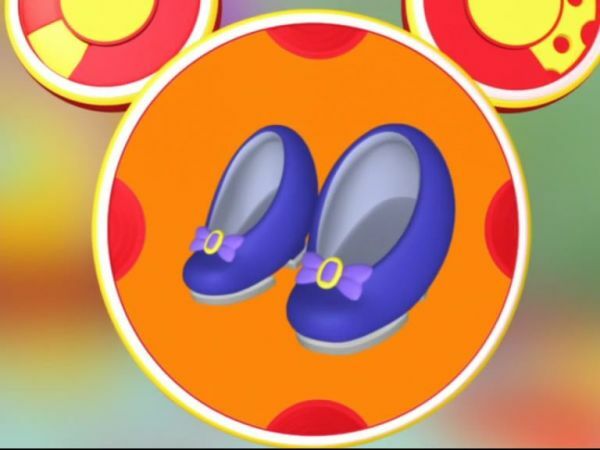 Toodles is gonna bring us our Mouseketools when we need them. DAISY: Now we can get rid of our hiccups. MICKEY MOUSE: And I got an idea. We can try the hiccup cure I used when I was little. MINNIE: Oh, what is it, Mickey? 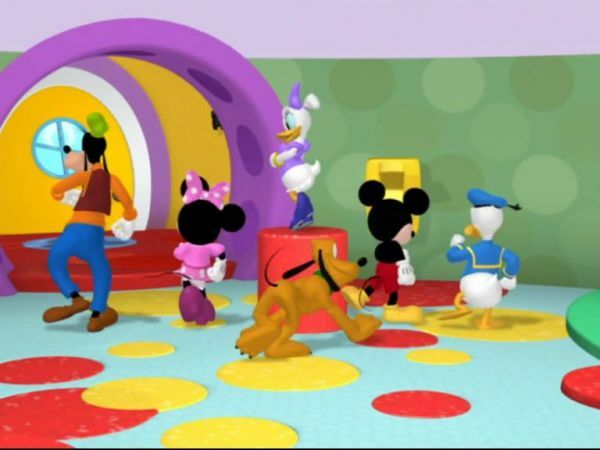 MICKEY MOUSE: Well, all you gotta do is jump up and down and count to twelve. You ready? Come on. Jump and count with us. ALL: One, two, three, four, five, six, seven, eight, nine, MICKEY MOUSE: Do you hear any hiccups? It worked! Our hiccups are gone. MICKEY MOUSE: Uh-oh. 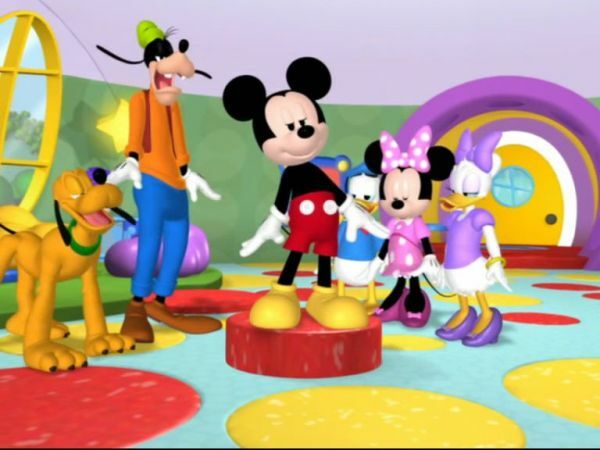 [singing] Minnie still has the hiccups / Daisy still has the hiccups Donald still has the hiccups / And Goofy still has the hiccups / And Pluto still has the hiccups too. DAISY: I know how to make hiccups go away: it's a special dance called the Hiccup Polka. GOOFY: The Hiccup Polka? DAISY: Uh-huh. DONALD DUCK: Let's do it. DAISY: OK, but first, I need something to help tap the rhythm. MINNIE: Oh, I know. Why don't we check our Mouseketools? MICKEY MOUSE: Great idea, Minnie. Everybody say, "Oh, Toodles!" ALL: Oh, Toodles! MICKEY MOUSE: Let's see, a glue stick. Tap-dancing shoes. Or the mystery Mouseketool. 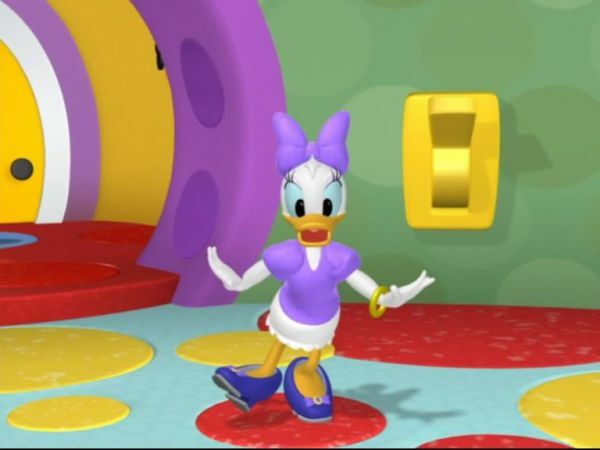 Which Mouseketool can Daisy use to tap a rhythm?